Around 40% of channel funding for the entire LN stems from Andreas Brekken’s node. Unlike node centralization on Bitcoin Cash’s blockchain layer, Layer 2 node dominance doesn’t present any (known) technical risks. Should this node get taken down without warning, no user funds would be lost. Apart from channel and funding growth, LN services have also increased significantly. According to Lightning Network Stores, the number of LN-accepting stores is up to 81. Additionally, the CoinGate payment service recently announced that they’ve begun processing LN payments for over 100 merchants. The Lightning Network is an exciting new realm with lots of fun activity, but how does the average user get involved? At the current time, no desktop wallet with a graphical user interface (GUI) and support for the main net exists. 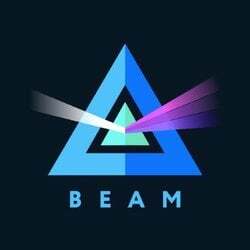 The attractive Zap wallet will likely be the first such wallet released, but it currently only supports test net. At this early stage, intrepid LN explorers must therefore rely on the available Android wallets. While ACINQ’s Eclair wallet is really good, at this time it only works for sending payments. As you might wish to receive payments, winnings from the Lightning Spin gambling site for example or article payments from Yalls.org, I highly recommend the Bitcoin Lightning Wallet (BLW) by Anton Kumaigorodskiy. You can download the wallet via the link to the Google Play store. Lightning Wallet works great on an Android phone, although it’s best used in combination with a PC. The PC is used to browse and interact with Lightning sites. Payments are then made via your phone’s Lightning Wallet, by scanning the QR codes of payment requests. While it’s possible to use just the phone, by copy-pasting payment URIs between the browser and Lightning Wallet, this method is fiddly and inconvenient. If you don’t have an Android phone or prefer to use your PC, Lightning Wallet works just as well in an Android emulator. I tested it in BlueStacks 3N but there are many more emulators which will prove compatible - Google Play should warn you before installation if they’re not. In this environment, you’ll be copy-pasting transaction URIs between the browser and emulator windows, rather than scanning QR codes. When you first run Lightning Wallet, it’ll generate a mnemonic seed phrase, which you should record accurately and store securely. If your device or emulator is lost or fails somehow, the seed phrase can be used to restore any BTC contained in the wallet’s Bitcoin address. Balances existing within Lightning channels require both the seed and an extra channel recovery step to restore. At this time, the minimum amount is 300,000 satoshis (or 0.003 BTC). At the current BTC price of ~$7,500 this is about $22.50. As LN is not yet a mature technology, it’s not advisable to exceed this minimum by much. Remember that the maximum amount which can be sent at this time is 0.042 BTC. Given the technical risk and present lack of expensive items or services for sale via LN, I recommend funding the wallet with around 310,000 satoshis. The reason for the extra 10,000 sat is explained under Step 7. To access your BLW receiving address, click the Bitcoin symbol in the bottom right corner. Next, click “Bitcoin transaction” from the menu which appears. Finally, make a payment of 310,000 satoshis (0.0031 BTC) or more from your Bitcoin wallet. Note that Bitcoin Lightning Wallet uses a Bech32 address, which begins with “bc1.” Certain wallets are unable to send or receive funds from a BC1 address, so ensure your regular on-chain wallet is compatible. The Blockchain.info web wallet and most exchange wallets, are currently not compatible so you may not be able to send funds to a BC1 address. You may try sending Bitcoin from an Electrum wallet. Once your on-chain transaction confirms, you’ll see a LN balance reflected at the top of Lightning Wallet. Obviously, the Bitcoin symbol represents on-chain BTC and the Lightning symbol represents LN BTC. Click the Bitcoin symbol in the bottom right, if the action menu isn’t already open. Select “Open new channel” and you’ll be presented with a list of nodes to connect with. It’s recommended to choose one with many channels and good funding. As the wallet doesn’t display the amount of funding, you can enter the node name into the 1ML explorer and it’ll display the funding level. Andreas Brekken’s “Shitcoin.com” node is well-financed, as described above, but may be closed once his LN testing is complete. BLW recommend's ACINQ's node, and this choice is likely to prove long-lasting. Other popular nodes include Rompert.com or Lightning.Scot. You can explore for further suitable nodes visually, using the LND explorer graph. Once you’ve opened a well-funded, well-connected channel, you’re good to go. Try out some of the many LN stores, games and services! When the payment request appears, simply scan or copy it and your transaction should go through within seconds. If copying a payment request, BLW should automatically read the clipboard and present you with a confirmation for approval. 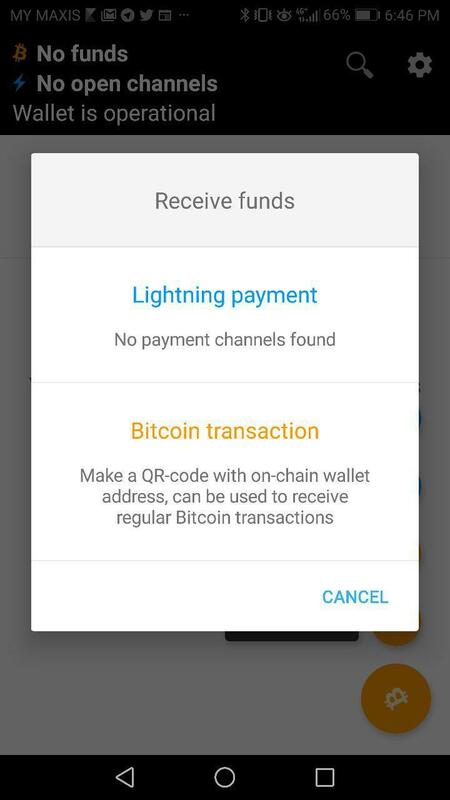 You’ll note that Bitcoin Lightning Wallet also contains a Receive tab which enables you to accept Lightning payments. This can be used to withdraw your winnings from gambling sites or request payment from other users of the LN. The wallet will generate a payment request which you must then display to your counterparty. Note that the “Receive” feature will only work after 6 confirmations of your original funding transactions and once you've spent 2% or more of the channel balance. Receive functionality occasionally runs afoul of a known issue, with the underlying Lightning Network Daemon upon which the wallet relies. Should you encounter this error and be unable to receive payment, even after fulfilling the confirmation and spending requirements, the easiest solution is to close the existing channel and open a new one. 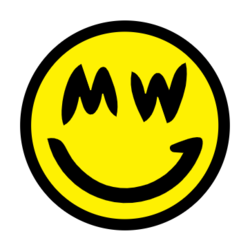 Upon making a close request, your bitcoins will be returned to the on-chain BLW for you to fund a fresh channel. This is why it's recommended that the initial funding amount be more than the 300,000 sat minimum, as several thousand satoshis (or several $cents) will be lost in this process. About Steven Hay — Steven Hay moved to Bitcoin from futures trading and gold investment in early 2013. Steven's written for CCN and currently writes for 99 Bitcoins, Coinmama & CoinGecko.